All enrollments are subject to availability. Contact the camp office at 862-244-4422. Call the Camp Office for our OPEN HOUSE DISCOUNTS! Additional Discounts available for Express Transportation Option. **** 5 Mini Days (9:00 AM – 1:00 PM Lunch Included), Sibling Discounts Do Not Apply. Morning Transportation is Included but Afternoon Transportation is NOT AVAILABLE. Campers must be picked up at camp. ***** 7th, 8th & 9th Grade Program Includes Door to Door Transportation, Lunch, & 2 Day Trips per Week. Sibling Discount – 5% OFF Enrollment for second, third or fourth child. Express Transportation Discount – $300 is deducted off 8 week tuition for campers transported from one of our Express Transportation Locations, $200 off 6 week tuition, $150 off 4 week tuition. Parent Transportation Discount – $400 is deducted off 8 week tuition for campers not using our Bus Service, $300 off 6 week tuition, $200 off 4 week tuition. 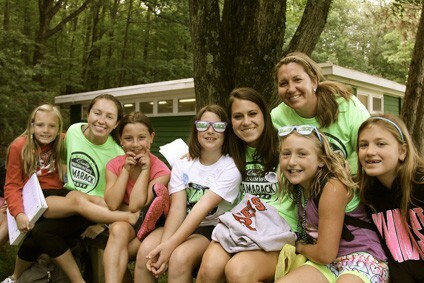 Contact the Camp Office at (862) 244-4422 for our Current Promotion! BEFORECARE – Extended Morning Program (7:30AM-9:00AM) add $75 per week. Parents must drop off at camp, early bus service is not provided. AFTERCARE – Extended Afternoon Program (4:00PM-6:00PM) add $75 per week. Parents must pick up at camp, late bus service is not provided. 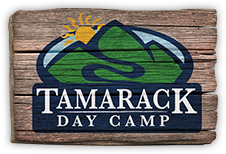 PRIVATE LESSONS – Tamarack offers One-on-One Lessons in all camp activities (Swim, Biking, Tennis, etc). Contact the Office for more information. Enrollment requires a $700 deposit for pre-K to 6th grade & $1200 deposit for 7th, 8th, & 9th grade programs. Balance is billed on April 1 by credit card or e-check. Refund deadline is March 1, 2019 (Jan 1, 2019 for 7th, 8th & 9th grade). Contact the Camp Office (862) 244-4422 for more information. If you are uncertain about your summer plans, Camp Tuition Insurance can be purchased during enrollment, or if your camper is already enrolled, please contact the camp office for assistance.